OS Modernshop is bright and unique Joomla Virtuemart template. 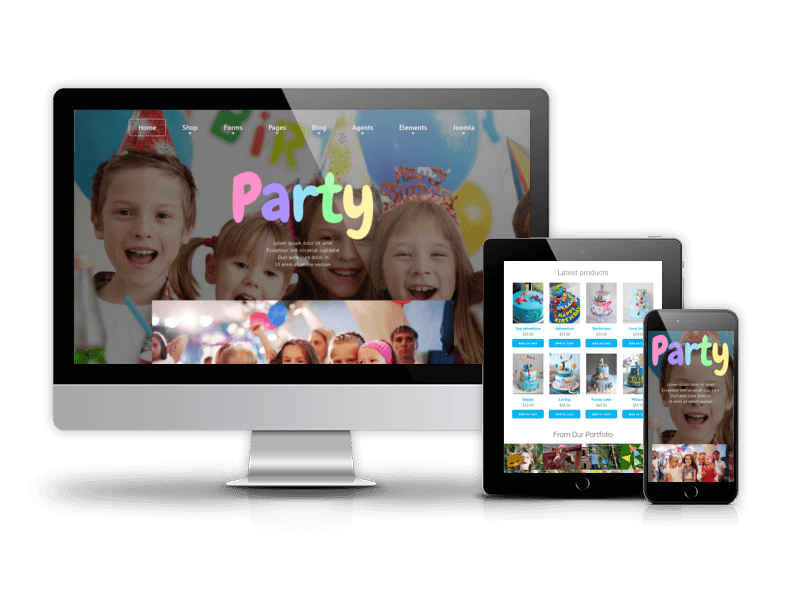 OS Modernshop is fully responsive theme, that adapts to the screen resolution of the devices - smartphones, tablets and desktops. 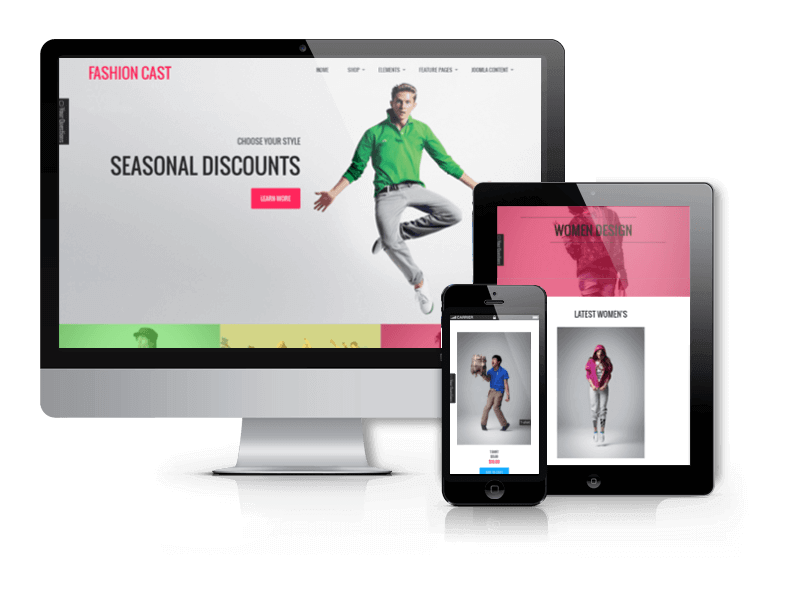 This Joomla template may be used especially for clothes store and fashion store, but you can use OS Modernshop Joomla template for any other type of stores. 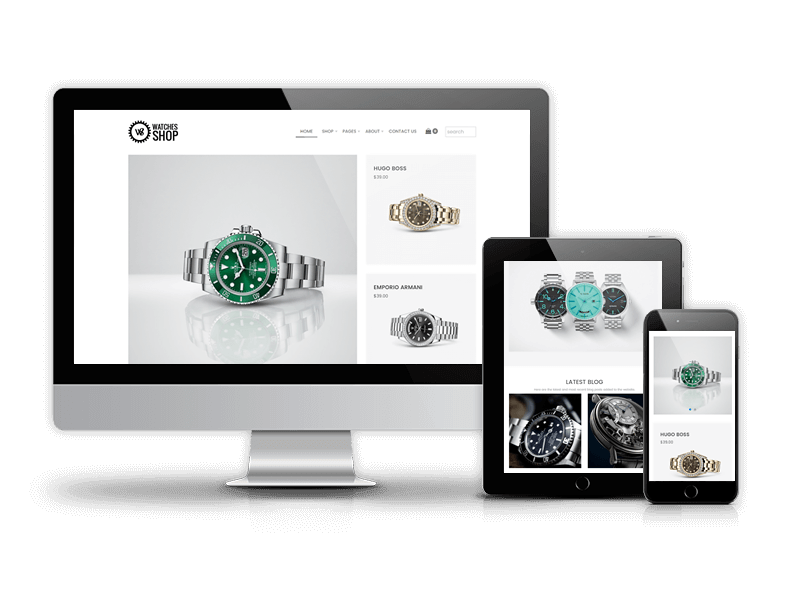 Template includes lots of useful built-in features to help you build an awesome online store. Quickstart package is delivered with OS Joomla Social Comments and Sharing (you save $9), OS Location Map Module (you save $9), Virtue Mart component 2.0 and responsive slider. 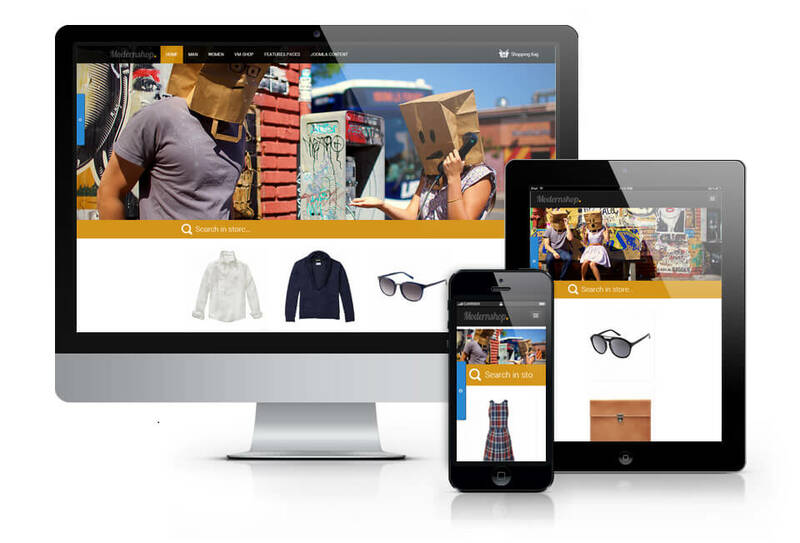 Install package easily and get your stylish shop in minutes. 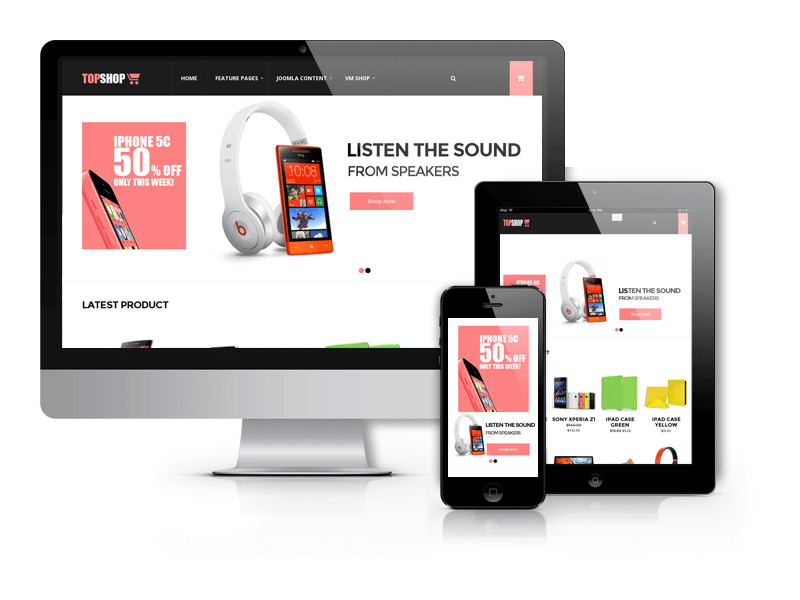 If your looking for a mobile ready, versatile design for your online shop Modernshop is the best choice. How to install Joomla Quick Start Package? 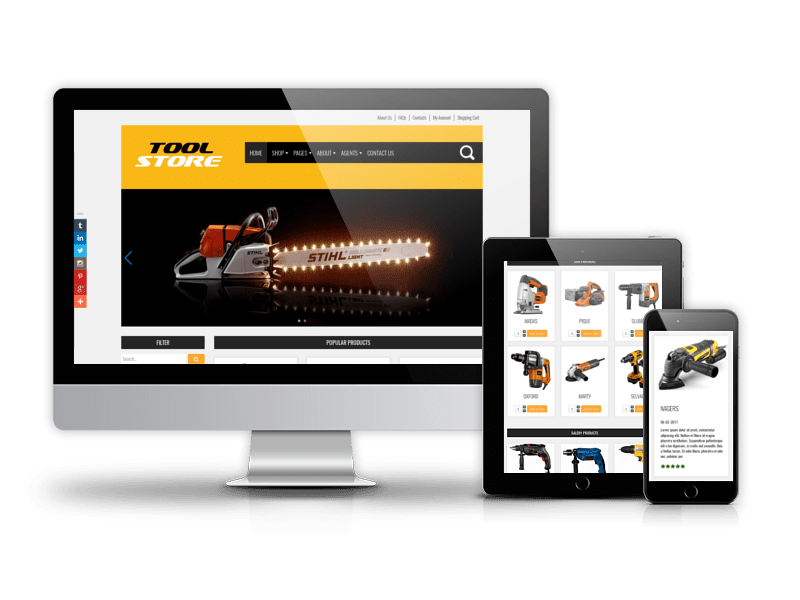 Stunning collection of the best free and premium Joomla eCommerce templates and themes with VirtueMart integrated and responsive (mobile friendly) design. 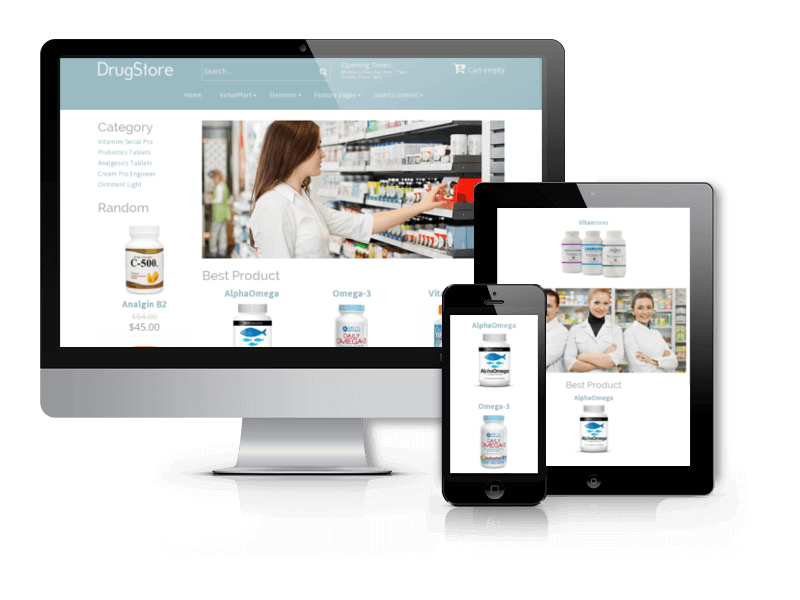 Beautiful and professionally looking Joomla Virtuemart templates allow launching eCommerce website with online store in minutes. 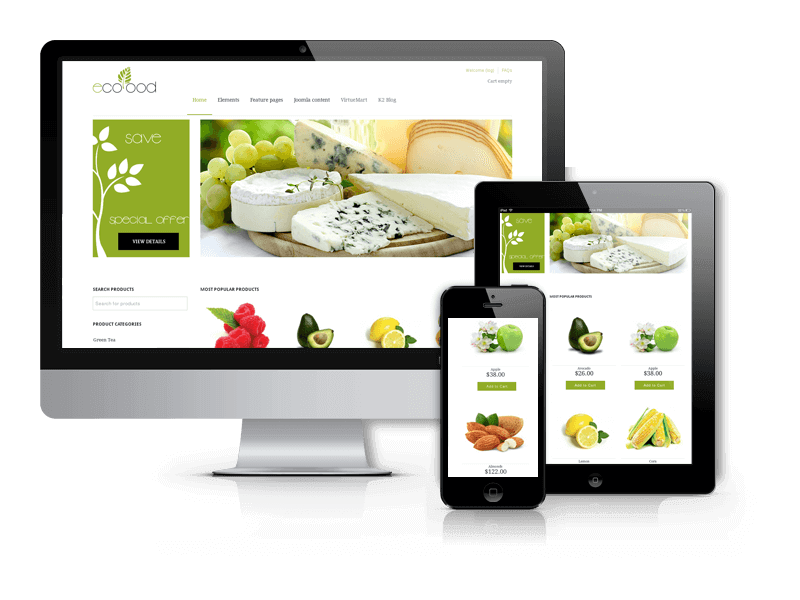 Enhanced with powerful theme options, modern design and useful support, these eCommerce themes will suit for different web shops or online stores of electronics, books, food, fashion, medicines and much more. 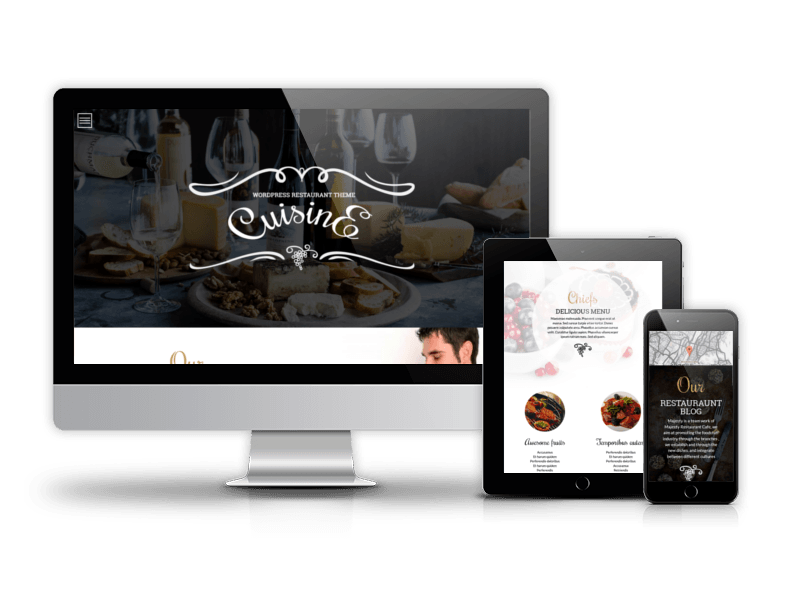 Give them a try and download free Joomla eCommerce templates to check all the possibilities of them. Or get 20+ premium Joomla Virtuemart templates by subscribing to our Joomla Standard club .